MOVEMENT for the Emancipation of the Niger Delta (MEND), a frontline insurgent network in Nigeria's main oil and gas region, has asked Vice-President Goodluck Jonathan, to immediately quit the administration of President Umaru Yar'Adua, claiming that government does not have respect for him as the country's vice-president. The militia group says it has also ordered for the blockade of key water channels in the oil region as the bloody confrontation between them and soldiers in Warri North Local Government Area of Delta State take a new turn. MEND Spokesman, Jomo Gbomo, in an on-line statement yesterday said, ''we have ordered the blockade of key waterway channels to oil industry vessels both for the export of crude and gas and importation of refined petroleum products. This means vessels now ply such routes at their risk''. 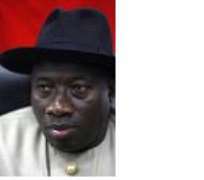 According to Gbomo, ''Dr Goodluck Jonathan has an opportunity to quit a government that has no iota of respect for him. If the president can snub him after the genocide over his people, then the post of Vice President is not worth it''. Sunday, May 17, 2009 according to them, ''revealed the desperation of the Nigerian armed forces in a war it has no way of winning when the world witnessed indiscriminate use of missiles and bombs on several defenseless Ijaw communities in Delta state. This is the height of cowardice''. Continuing, they said, ''at one point we began wondering if the pilots had problems with the calibration of their weapons. It is now evident that sheer resentment of a people waking up to claim what has been stolen for five decades was the cause. ''To make matters worse, the Nigerian government, aware of the consequences of its actions and with an existing National Emergency Management Agency (NEMA), had no contingency plans for the displaced persons; yet that same agency is very quick to respond in the North over a minor rain storm. ''If massive bombing can guarantee an early victory, then the United States "shock and awe" bombings in the opening Iraq and Afghanistan campaigns would have resulted in early victories, yet today after over five years they are still grappling with an unfinished war. ''We anticipate the same thing here but worse for the Nigerian State. Our fighters have started playing cat and mouse with the army and the frustration is becoming evident in their pattern of attack. They bomb non-combatant women, children and the elderly and we come out at night to kill more soldiers. As long as the government can not eradicate mosquitoes and malaria, they will not be able to eliminate freedom fighters and the struggle. ''There is low moral and division amongst the soldiers from the Middle Belt and South who are not in support of an unjust war. We salute them''. In an earlier statement, they said, ''considering that ours is a war of detachment and our camps are not meant to serve as permanent barracks, fighters from Camp 5 simply relocated to another camp with all their weapons and ammunition's intact. This is normal in guerrilla warfare. ''We are embarrassed at the dismal performance of the Nigerian armed forces who performed like poorly trained amateurs by bombing indiscriminately into civilian communities using helicopter gunships and fighter jet planes. Civilians should have been allowed to leave the area before the attack. This simply has shown that the government is insensitive to the Niger Delta people''. The rest of the statement reads: ''If the army's mission was to also rescue the hostages, then that again was a botched and ridiculous attempt because the hostages were not at any immediate risk to their lives except for their temporary freedom. ''We regret to announce that two hostages have been killed by the indiscriminate shelling and two more are still in our custody. We are happy that all of them were not killed by the army. The bodies of the dead men will be handed over to the Red Cross. MEND deeply regrets the avoidable deaths. ''It is not true that the army captured a plane from Camp 5. If my memory serves me right, the plane in question is a toy remote controlled plane which can be purchased from any toy shop. It is rather shameful that they can not distinguish the difference between a toy plane and a drone. ''As promised, we have begun nibbling again at the oil infrastructure. Already, two major trunk pipe and gas lines which were recently repaired have been blown up. This is just the tip of the series of attacks we plan to carry out. ''For the Nigerian government to declare victory, troops must be able to secure every inch of pipelines and eliminate the over 500 camps stretching from Ondo to Akwa Ibom. ''What the government has been successful in doing is committing genocide against the Ijaw communities whose offense it seems is discovering oil in their backyards. ''Our message to the Northern Sultans and Emirs is this: The period of exploiting the Niger Delta is coming to an end. It is not the birth right of your people to rule the Federal Republic of Nigeria. The war is just beginning and by the time it ends, Nigeria will practice true federalism such as fiscal federalism which will benefit the entire populace. Let your people brace themselves to develop their resources and such a bold change will be remembered. ''Our fighters in Delta state have not requested for reinforcement from other states. They are conducting the battle very well and every night the military is depleted by about an average of ten soldiers. ''General Tompolo is alive and well. He was in unilateral discussions with the government on a peaceful way forward but that did not mean he would close his eyes and watch soldiers disrupt a local festival by harassing innocent visitors to the event. ''Since they did not disrupt the Argungu festival in the North, it was not acceptable to disrupt ours in the South. The skirmish which saw the loss of over twenty soldiers and an officer as well as the sinking of two gunboats on Wednesday the 13th of May which the army has found it hard to admit resulted in the punitive expedition of the Gbaramatu kingdom''.